Sigulda Toboggan track is formed on one of the steepest slopes in Latvia. The track runs on the rollercoaster principle and allows for speeds of up to 40km/h, which everyone can limit with the use of brake handle. The length of the track is 400m. Riding together with children is permitted; the journey is safe, as each rider is secured by a seat belt. 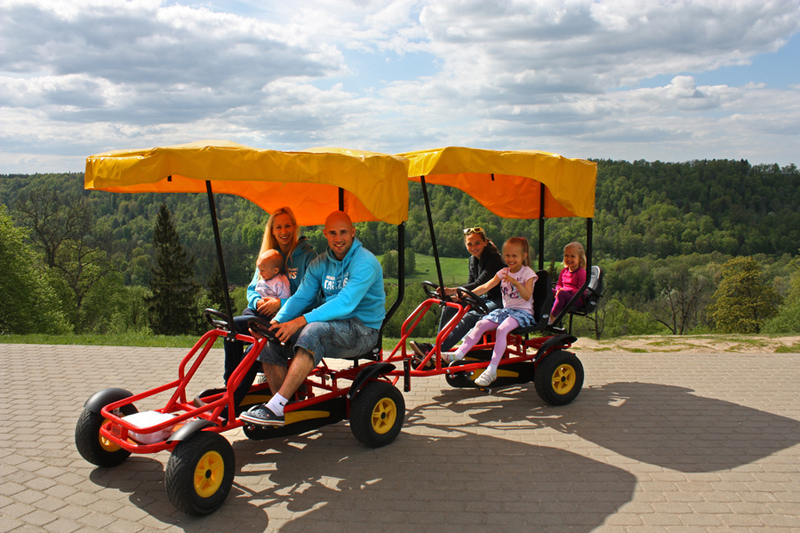 Tarzans offers quadruple family velomobiles with an extra seat for a child (30 kg max.). 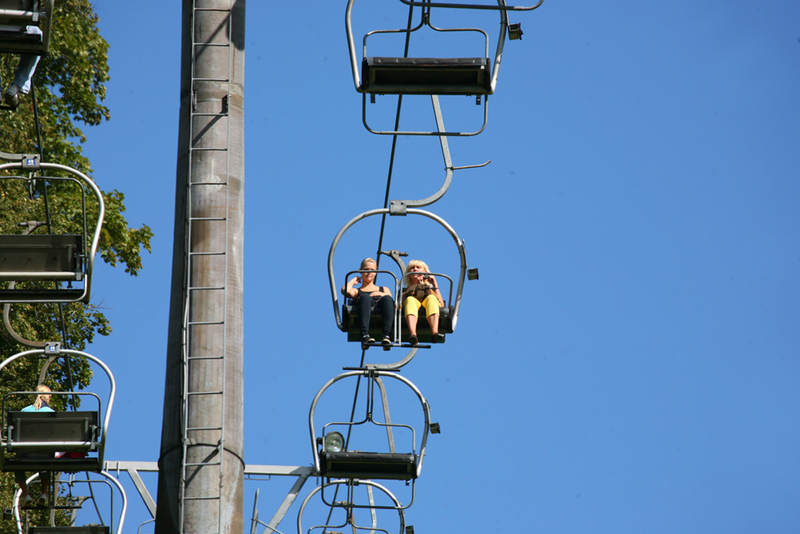 Rental place is located in Sigulda Festival Square near Sigulda bike track. In addition, we give a map with 30, 60 or 90 minute routes which pass through the most significant sights of Sigulda. ARCHERY. Try your skills in an outdoor shooting gallery. We offer different sizes of bows which can be used by both children and adults. Our instructors will teach you how to shoot with a bow so that you can hit the target. In the catapult you will enjoy the acceleration and the flight in the sky, which is followed by a feeling of weightlessness, free fall back and swinging in the rubbers. The height of the flight is 20 meters. Pirate track is an adventure track for children with 17 different obstacles that run through a pirate ship. In the track one must overcome various obstacles, such as crawling through the “Liana track”, a flight on the “Flower Pot”, going with a roller down the rope, and many others. For children it will be an exciting entertainment with physical activities! The height of the climbing wall is 9m and it has two parallel paths, with 7 different routes. Driving a pedal go-kart is a great activity for children already from the age of 3, as well as for adults. Rental place is located at the Sigulda bike track in Sigulda Festival Square, which provides the riders with a wide choice of routes. CHILDREN’S ATVS. Designed for children ages 4-8 years, up to 30kg. For safety reasons a helmet and armour must be used. The parents must follow and, if necessary, help.